Urban Tandoor, 13 Small Street, Bristol, Avon, BS1 1DE have now been awarded our highly revered Good Food Award – Gold Seal for 2019. Our Gold Seal is the highest accolade bestowed by the Good Food Awards and is reserved to those achieving our award for three consecutive years or more. Premises must maintain the same exceptional standards that gained them initial entry into our awards over a three year period. Truly making this achievement the marque of distinction. These premises have demonstrated exceptional levels of food quality, service and value when compared to our industry benchmarks in their category and have now maintained this formidable standard for three or more consecutive years. 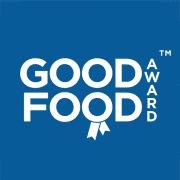 In recognition of this achievement they have been duly awarded our highest accolade the 2019 Good Food Award – Gold Seal | Good Food Award Winners in 2015, 2016, 2017, 2018 & 2019. We are Urban Tandoor, the pioneers of Indian food in Bristol. We offer an enjoyable, memorable dining experience. Visit us for delicious Indian cuisines, exciting interiors and stylish hospitality. Unusually, we offer genuine Indian food from the true sources. At Urban Tandoor, you will find cuisine from the gourmet homes and street stalls across India’s regions, all prepared by skilled chefs from those regions. Come for genuine delicious Indian food. Our food is totally different from local curry houses. What makes us unique is our approach. We use less oil, no articial colours and fresh ingredients so our cooking is always light and fresh.